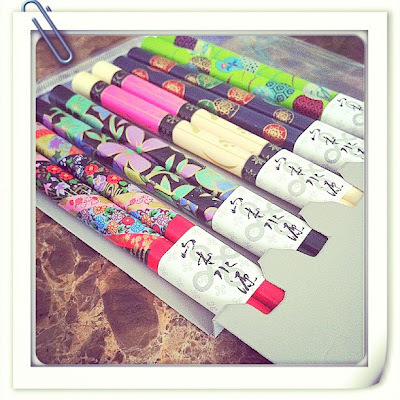 I bought myself a new set of chopstick yesterday at our local grocery store. They're so cute! Oh, boy they're too pretty to use. They are so pretty. Never bought any chopsticks before jud. Love them!